On 22 September 2013 the Islamic Consultative Assembly ratified a Bill by which a legal guardian can marry his/her adoptive child. Although the ‘Unsupervised or Ill Supervised Children and Youth Protection Bill’ has some positive points it also has many ambiguities and other objectionable articles. However, none are as dangerous to the moral, mental and physical integrity of the child (particularly the girl child) as article 27 of the said Bill. Since other laws in the Islamic Republic legalise temporary marriages and girls as young as 9 lunar years can be married with the permission of the courts, the proposed article 27 seriously undermines the best interest of the girl child in any placement. It also seriously undermines the State Welfare’s Organisation’s ability in assessing suitable placements in the best interest of the vulnerable children in its care. By insisting on conformity to the Islamic criteria, is the Guardian Council putting the tenets of Islam above the best interest of the [girl] child? How can Behzisty (the State Welfare Organisation) ensure best placement for a [girl] child? How can they know the intention of the adoptive parent at the point of legal guardianship? How will the [girl] child be able to express her opinion about marrying her/his parent? If s/he is mature enough to marry s/he is mature enough to have an opinion. How can s/he express opinion in court and what weight will be given to this opinion? ACI recommends an amendment to article 27 prohibiting any such marriage as well as the right to remedy and reparation for existing victims. A little girl runs into the arms of her father and snuggles in his lap. This sentence evokes unspoken emotions of safety, security, protection, love and trust. What emotions would be evoked if the father stroked his little girl knowing that he was going to marry her? Unconscionable? 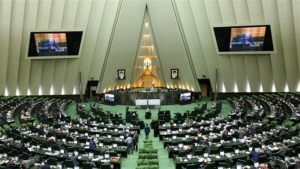 After five years of debates, deliberations and expert consultations, on Sunday 22 September, the Islamic Consultative Assembly passed the long awaited ‘Unsupervised or Ill Supervised Children and Youth Protection Bill’ (the Bill) which legalised marriage between the child and the legal guardian. It has been passed on to the Guardian Council for its final approval. As with all Bills the process has gone through numerous consultations with the Guardian Council whose duty it is to examine conformity of all articles with Islamic criteria. Although the Bill had been sent to the Guardian Council in the past, the difference this time is that all articles have been agreed upon prior to the final passing and ratification by the Islamic Consultative Assembly. The rules pertaining to adoption were last reviewed on 28 February 1975. In view of the fact that Iran became an Islamic Republic in 1979 and that the laws need to conform to Islamic criteria it was necessary to have new sets of laws particularly since Islamic law does not recognise adoption and instead a form of permanent legal guardianship has been developed. The 1975 Bill was silent on the question of marriage between the child and the legal guardian as was the Civil Code. There are no provisions for adoption in any form in the present Civil Code. On 22 February 2009 the Ahmadinejad administration presented its ‘Unsupervised or Ill Supervised Children and Youth Protection Bill’ (The Bill) to the eighth Islamic Consultative Assembly. In article 24 of this Bill the legalisation of marriage between child and legal guardian was introduced for the first time. Article 24 stated that with the expert opinion of the State Welfare Organisation (Behzisty) the matter could be referred to a competent court for approval. The first consultation on the proposed Bill stated that the inclusion of this article would be unacceptable to the public morale and should be removed. The consequent amended draft dated 29 July 2009 excluded article 24. On 29 September 2009 a member of the Islamic Consultative Assembly even went a step further and suggested prohibiting any such marriage in a note to article 27 which was implemented and the newly amended Bill resubmitted to the Guardian Council on 13 October 2009. However, the progress of the Bill was effectively halted by the Guardian Council on a technicality on 2 November 2009 with the last correspondence between the /Guardian Council and the eighth Assembly recorded on 17 March 2010. Following the parliamentary elections for the ninth Islamic Consultative Assembly on 2 March 2012 the Bill was rescheduled for assessment and the newly elected members resubmitted the October 2009 Bill on 24 April 2012 to the Guardian Council. Expert consultation on 13 June 2012 expressed Guardian Council’s opinion on the marriage between child and the legal guardian as ‘may be in the best interest of the mature / pubescent child’ and it was recommended that the note to article 27 prohibiting the marriage should be amended to read, ‘marriage between the child and the legal guardian either during the time of guardianship or after is prohibited unless after the child has reached maturity / puberty marriage with the guardian would be in the best interest of the child. The matter should be decided after expert consultation with Behzisty by a competent court’. Despite this recommendation the redrafted Bill submitted on 25 July 2012 maintained its position on the prohibition of marriage. In its opinion of 15 August, among many other comments concerning the state of conformity of other articles with the Islamic criteria, the Guardian Council unequivocally stated that the prohibition of marriage between the child and the legal guardian failed to conform to Islamic criteria and so it must be removed. In keeping with the Guardian Council’s recommendations on 6 January 2013 the ‘Social Affairs Commission’ amended the Bill and presented it to the Assembly for deliberation. For the first time marriage between a child and legal guardian was declared legal. Ratified by the Islamic Consultative Assembly on 23 February 2013 the Bill was submitted to the Guardian Council for further comment. While other articles were discussed in further correspondences no changes were made to article 27 and it was not discussed again. The final wording of the Bill was approved and ratified by the Islamic Consultative Assembly and sent to the Guardian Council on 22 September 2013. When it is not possible for a child to live with family the State become responsible for protecting the rights of that child and ensuring appropriate alternative care which would be in his/her best interest. In Islamic Republic of Iran this duty of care and responsibility is that of the Absolute Supreme Leader who has appointed the State Welfare Organisation (Behzisty) to act with his authority in this regard. Based on article 5.J of the Bill single women of thirty years and above with sufficient means can also adopt a child which in itself is a positive development. However, they are limited to adopting girls only. This article read in conjunction with article 27 makes it clear that the legislator is principally talking about a marriage between an adoptive father and a girl child. The Family Protection Law 2013 allows two types of marriage contract, full or temporary. According to Islamic Shari’a and the Family Protection Law polygamy is legal (article 4.4, 21). According to article 1401 of the Civil Code marriage age is set at 13 for girls; yet, girls can enter into marriage contract at a younger age with the permission of a competent court. This means that based on article 27 girls as young as 9 lunar years are potentially at risk. Girls who marry at such young age are at risk of violence, abuse and exploitation. Quiet apart from the fact that legalising marriage for girls at such young age is deeply rooted in gender discrimination the Guardian Council has disregarded the social stigma facing a young girl for being married to her father. As a result of this proposed harmful law the girl child will certainly face serious risk to her physical, mental and moral integrity. One of the positive points of the Bill is the increased supervisory role of Behzisty. Yet, many ambiguities remain. For example, how can Behzisty ensure a girl child’s best interest in any placements when it has no way of assessing the father’s future intentions? How can Behzisty offer expert consultation on the fact that the best interest of the child is to marry her father and on what basis is Behzisty to make such recommendation to a competent court? How can Behzisty determine that a mother will offer unconditional love and care to a girl child when she thinks that she could be raising her husband’s future wife? How can Behzisty ensure that the child is being placed in the best environment possible? In effect article 27 actually invites Behzisty to collude in such marriage by offering expert consultation to the competent court. As signatory to the CRC, Islamic Republic must assure the child’s right to express an opinion freely about her welfare. If a girl child is mature enough for marriage she certainly is mature enough to have an opinion about marrying her father. Her right of being provided an opportunity to be heard at the competent court deciding on her future must be ensured. The legislator must make clear where and how the girl child’s views about the marriage can be heard and what weight would be given to her expressed views. Who will protect the rights of the child in such a marriage? In a traditional or conventional marriage the bride’s father principally negotiates for her rights within the marriage; who will do this on behalf of the child when she is in fact marrying her father? Will Behzisty’s supervision end at the time of marriage? Who will ensure that she has access to, for example, education? Who can she turn to if she has any concerns or is being abused? She certainly will not be able to ask her legal guardians for support and protection. It is argued that according to Shari’a there are no legal impediment since there is no affinity or consanguinity in an adoptive relationship and any sexual relationship between a legal guardian and the girl child is not incestuous. In legalising such marriage the Guardian Council and 290 members of the ninth Islamic Consultative Assembly appear to be more concerned in protecting the tenets of Islamic Shari’a than the best interest of the girl child. The Guardian Council has to explain why when the Bill was first introduced in 2009 prohibiting such marriage categorically, its nonconformity to the Islamic Shari’a was never raised and it took them three years to make such determination. The Guardian Council in its expert recommendation of August 2012 seems to forget that the principle of adoption or legal guardianship is to benefit the child and not to gratify the wishes of the adoptive parents. Article 27 of the Bill could lead to the girl child being adopted for nefarious purposes and at risk of abuse by paedophiles. The legislator seems to disregard the fact that based on national laws as well as article 21 of CRC and all other related documents the child’s best interest is paramount in any placement. Here, instead of taking steps to criminalise any such act the Guardian Council has legalised it. It has been said that in some remote villages in Iran such marriages have taken place and by introducing the role of a competent court it will act as a deterrent. However, there is no provision for punishment for a man who enters into a temporary marriage contract with the girl child without the permission of a competent court. Furthermore, this is an objectionable argument since enforcing the prohibition of such marriage would certainly better protect the child and stop any such idea at inception. The ‘Unsupervised or Ill Supervised Children and Youth Protection Bill’ has positive developments as well as other questionable or ambiguous points. Nevertheless, it is article 27 that threatens the most vulnerable in our society and must be amended to protect the best interest of the girl child. The society in Iran is often more progressive and advanced than the Islamic laws governing Iran. The public reaction to this article certainly demonstrates this point. Laws must be there to protect and not to legalise the abuse of the most vulnerable such as a child in desperate need of a home and a loving family. Article 27 is morally and socially deplorable. By punishing the perpetrator and prohibiting the marriage the best interest of the girl child will be served and will provide the child with a real opportunity of living with a loving and caring family. It is understood that most adoptions concern children of two years and less. In this regard the idea that a man will adopt a little girl, love and care for her as his daughter and then decide to marry her is unconscionable and deplorable. It undermines the very spirit of adoption and care for children. Article 27 puts Behzisty in an impossible position when assessing the best interest of the child in any placement. In this respect, it is the duty of the State to legislate against such unacceptable practices and educate and change culture in an effort to stop discriminatory and abusive treatment of the girl child. ACI recommends an amendment to the existing article by prohibiting this type of marriage. ACI also recommends that efforts be made to identify victims of such harmful practice. They must be given the right to remedy and reparation. According to article 94 of the Islamic Constitution, ‘all legislation passed by the Islamic Consultative Assembly must be sent to the Guardian Council. The Guardian Council must review it within a maximum of ten days from its receipt with a view to ensuring its compatibility with the criteria of Islam and the Constitution. If it finds the legislation incompatible, it will return it to the Assembly for review. Otherwise the legislation will be deemed enforceable’.